Crosby is at an age where she's starting to dislike sitting in anything that she needs to be strapped in. Car seat, stroller, high chair etc. It's definitely making life a little harder! We decided it was time to get her own little table, but had trouble finding one that we liked and thought would fit in with our decor. 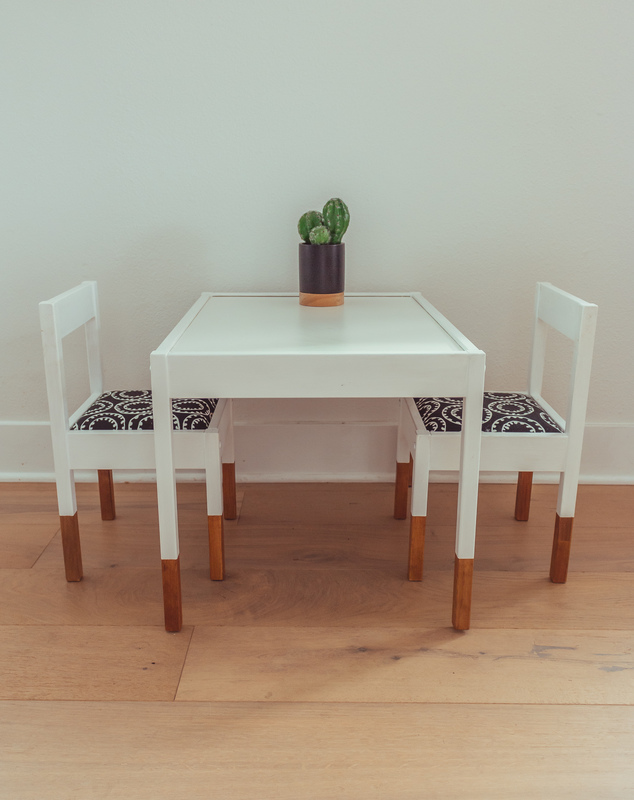 Jeff had the idea to get this $30 IKEA LATT table and DIY it into our own creation. We couldn't be happier with how it turned out... Crosby is a huge fan too!